The complex Sunset in Puerto de Santiago is maintained to a very high standard. It has a large communal swimming pool , lifts to all floors and communal garden areas. 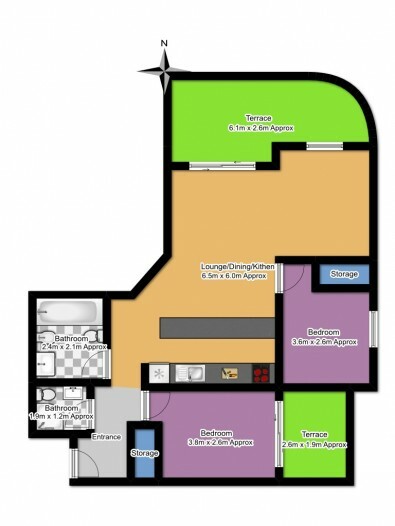 This particular apartment is very spacious and bright with two good sized bedrooms and two bathrooms. From the master bedroom you can access one of the terraces which has views of the mountains and both bedrooms have fitted wardrobes. The kitchen is open plan, with an American style breakfast bar which leads onto the generous sized living area accessing the main terrace, which has street and partial sea views. Also included in the price there is a parking space and private storage room. The communal garage can only be entered though the electric gates making it very safe and secure.